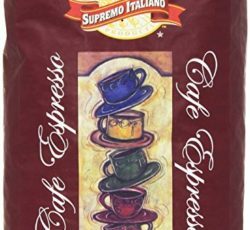 Chef’s Quality 100% Columbian Ground Coffee 1 lb. Ground coffee is coffee which has been prepared for brewing by being crushed or ground. When hot water is passed through the ground coffee, it extracts compounds within the coffee beans, resulting in a brewed cup of coffee. There are a number of different ways to process coffee for brewing, and it is important to match grinding method to brewing method to ensure that coffee comes out with good flavor and high quality. Chefs Quality 100% Columbian Ground Coffee is a brand used by many different types of restaurants and food service facilities across the US. Most of the items are bulk size and discounted relative to the price paid in a normal supermarket. It is 100-percent Colombian coffee, dark roast. Grown, hand-picked, roasted, ground, and packaged in Colombia by skilled and knowledgeable growers. 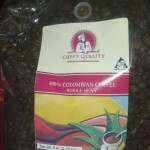 Chef’s Quality Whole Bean 100% Columbian Coffee 5 lb. A new e-commerce based platform providing grocery shipping for the country!! Reasonably priced “hard to find” grocery related items shipped straight to your doorstep.